Heat oil in a large frying pan over medium heat. Add garlic and chilli. Cook, stirring, for 1 minute. Add tomatoes. Cook, stirring often, for 5 minutes. Add olives, anchovies and capers. Cook for 5 minutes. Add parsley and basil. Season with salt and pepper. 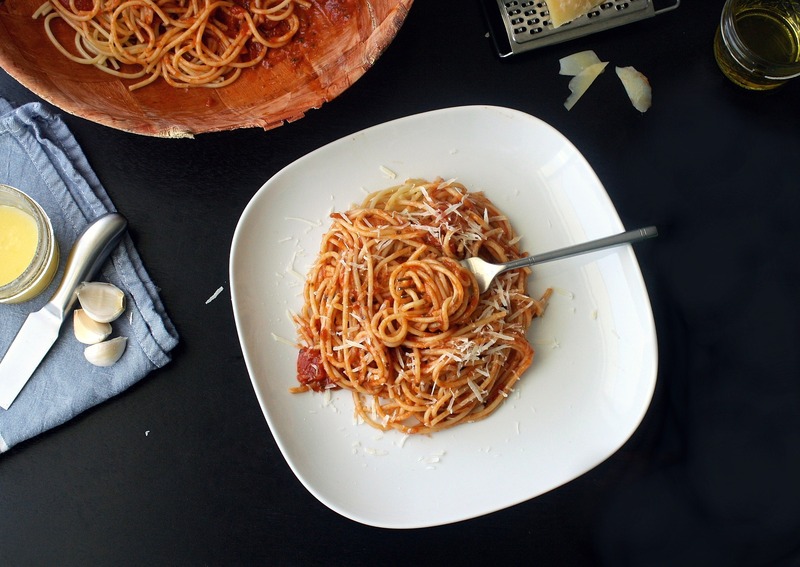 Add puttanesca sauce to pasta. Toss over low heat until well combined. (I like to use wholemeal linguine).